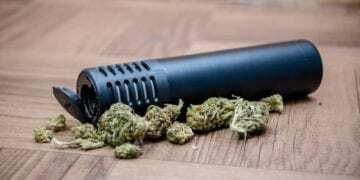 Every subculture has specific words, and vaping is no different. 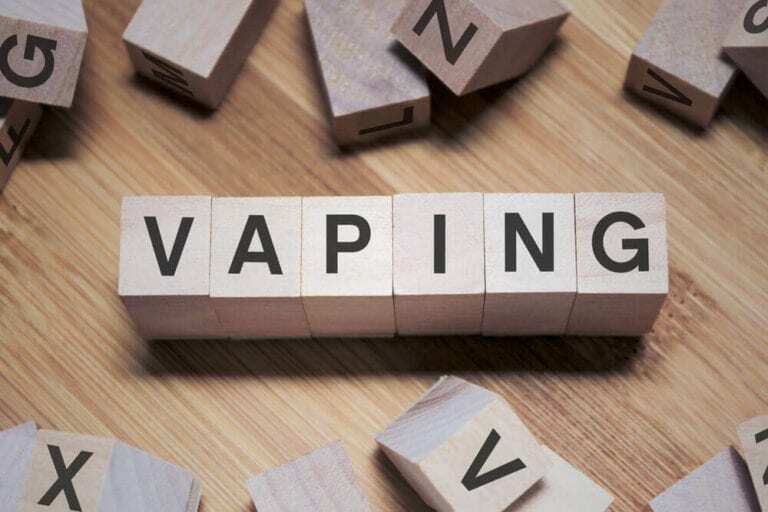 There are more than a thousand different vaping terms. Some of you might feel intimidated by these not-so-obvious words, but you shouldn’t worry as we’ve got you covered. Below is a list of the most common vape terminology you’ll stumble upon. We’ll be explaining a lot of them in this “vaping for dummies” guide. Grab your pen, sit tight, and let’s get started. Here’s everything to know about vaping. 20700 – This is a specific type of battery that is commonly utilized in advanced box mods. The notation derives from its size, which is 20mm in diameter and 70mm in length. Unlike the conventional 18650, this type offers higher capacity and amperage. 26650 – This is perhaps the largest battery out there. They are used in advanced e-cigarettes and PVs by sub-ohmers. Also, it’s a great fit for people that employ atomizers with less than 1 ohm. 306 – A disposable atomizer that uses an identical thread to the one found in the 510 models. This type of atomizer generally has low resistance and is used by 510 vapers to enhance vape production. 401, 402, and 403 – These e-cigarettes are basically identical to one another with the only difference in their size. As the name suggests, they vary in length. The longest one is 401 while the shortest is the 403. People often refer to them as the m401, m402, and m403 models. 510 – This type of atomizer is the most widely used and is considered to be the industry standard. The type of threading used in these atomizers is compliant with most cartomizers, atomizers, and clearomizers. They are all about vaping safely, and you’ll definitely stumble on one during your vaping journey. 808 – Known as the KR808 to the general public, this is a style of e-cigarettes. 901 – This atomizer is known to be incompatible with PVs that come with a 510 thread (it is possible to find an adapter though). In vape urban dictionary, it is described as an atomizer with a female thread. 16340 – This battery is known for being the smallest of the bunch and is often used in multiple quantities or parallel. 18350 – These tiny batteries are often used in stealth mods. 18500 – This type of battery is basically identical to the 18350 one. The core difference between them is that the 18500 has longer battery life and is quite bulky in comparison with 18350. 18650 – The most common battery size used in advanced e-cigs. They are smaller than the 26650 one and provide comparable power. Advanced Personal Vaporizer (APV) – These devices are generally referred to as mods (modified e-cigs). Unlike traditional e-cigs, they are bulkier feature-replaceable batteries, and they also can be mechanical. AEMSA – Also known as the Association of American E-liquid Manufacturing Standards, this is a non-profit organization responsible for developing safe, adequate standard for all e-liquids. AFC – Stands for air flow control. This term refers to a screw that is found in a number of atomizers, clearomizers, and tanks. Its main function is to adjust the drag. Airflow – This refers to the amount of air inhaled into the atomizer/tank. Users that want bigger clouds will try to pump more air, while those who like intense flavor do the exact opposite. Alien Coil – This is a pretty niche term that refers to a modification of the Clapton coil. The basic idea behind this mod is to wrap a wire around three core wires. All Day Vape – This is more of an urban term than anything. It refers to a favorite type of juice and is often used in sentences like: “Say what you want, but this strawberry tobacco is my all day vape”. Allen Key or Wrench – A tiny tool used to regulate Allen screws that are often found in rebuildable atomizers. American Wire Gauge – Known as the AWG among vapers, this is a U.S. standard that controls the size of the wire used in determining the coil’s resistance. Amps – Also known as amperage, this variable indicates the flow of energy through a circuit. Higher amp batteries will handle low resistance atomizers significantly better. Anodizing – An aluminum surface enhancement process. Products that are anodized have a durable non-oxidizing finish. Analog – Often referred to as traditional cigarettes. Aqueous Glycerine (AG) – An enhanced VG liquid that uses deionized water. Atomizer – Known as the “atty” among vapers, this is an essential part of an e-cig that contains the coil and wick. The atomizer is responsible for heat production. Automatic – A dedicated mode found in e-cigarettes. The idea behind this mode is that the user doesn’t have to press the button to heat the atomizer. The sensors will detect the draw and will automatically heat up. Automatic Shutoff – A critical component of every e-cigarette, it’s responsible for shutting down the device to prevent overheat. 1.) The primary part of most e-cigarettes that don’t have a replaceable unit. There are two types of these batteries: manual and automatic. The latter turns on upon inhaling while normal ones need user involvement. BCC – Situated at the bottom of the vape tank, the Bottom Coil Clearomizer (BCC) heats the substance. BDC – Similar to BCC, the Bottom Dual Coil Clearomizer heats two coils at the bottom of the tank. Blanks – Also known as cartridges or cartomizers with no liquid inside. They are designed to be refilled with juice. Boost – A feature designed to instantly regulate power. Usually found in box mods. Box Mod – Shaped like a box, the APVs come in mechanical or variable setups. Certain types of box mods have the capability to house up to four 18650 batteries. Such devices are wide, have more power if compared to their tube counterparts, and can go up to 200 Watts. Bottom Vertical Coil Clearomizer (BVC) – as the name suggests, this is the device that has its coil in a vertical position. Its main function is to improve airflow. Bridge – Coated in steel mesh, this is a part of the disposable atomizer. BT – Usually referred to Big Tobacco companies. Buck – A feature that allows for instant fire below the applied voltage. Often found in regulated vape devices. Car Adapter – A special charger that allows the user to charge the device in a car. Carcinogen – A compound that occurs during tobacco combustion. Several studies suggest that given chemical compound might cause cancer if used regularly. Cartridge – A special miniature mouthpiece that is filled with Poly-Fil to hold liquids. Usually attached to an atomizer. Cartomizer – Both an atomizer and a cartridge, the cartomizer is a longer version of a traditional atomizer. They hold more e-liquid and are meant to be disposable. They also come in punched (for tanks) variants. 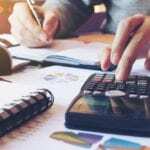 CASAA – Just like the AEMSA, the Consumer Advocacy for Smoke-Free Alternatives Association is a non-profit organization that advocates for the rights of the vaping community. Cig-A-Like – A gadget that resembles a traditional cigarette in terms of looks. Charger – A special device used to charge separate batteries which are often used in box mods. Clapton Coil – A modified (advanced) coil that is used in rebuildable atomizers. Often compared to a guitar string. 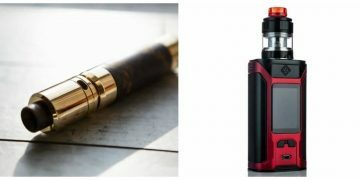 Clouds – A term that is used to describe the amount of vape production, i.e “My pen is so powerful, it produces massive clouds, just like a box mod”. Coil – A part of the device that heats the substance. Coil Jig – A special tool that is used to rebuild coils. Coil Winder – A tool that is used for manual coil wrapping. Usually made of stainless steel. Cone Threads – A special eGo-type threading. Connection – Used to describe what kind of threading connection for atomizers you setup uses. Custom Mod – Used to describe an APV or PV that is not factory built. Cutoff – A feature designed to prevent overheating. The cutoff is classified as a safety mechanism and its functionality can be described as the number of drags one can take before the device shuts down. DCT – Referred to as Dual Coil Tanks, this is a special type of tank that utilizes punched cartomizers that have 3 ml or 6 ml e-liquid capacity. Deck – A separate part of the atomizer where positive and negative posts are located. The term is used to describe a part in a rebuildable atomizer. Dewick – A process where the wick is being removed from the atomizer. Diacetyl – Known for its buttery flavor, the Diacetyl is used to flavor e-liquids. If inhaled in large amounts, it can cause Bronchiolitis obliterans, or as people like to call it, the Popcorn Lung. The majority of e-liquid manufacturers quit using it, so if encountered, it is highly suggested to avoid it. Digital Cigarette – Another term used to describe e-cigarettes. Disposable E-Cigs – One-time use e-cigs. 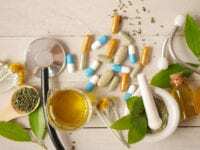 DIY – Usually used to describe homemade e-juice. It literary means Do-it-yourself. DNA – A special chip manufactured by Evolv. This abbreviation describes a device that has a variable wattage board created by the above-mentioned company. Dragon Coil – Used to increase cloud production in rebuildable atomizers. The Dragon Coil build means the case when the wick is wrapping the coil(s). Draw – Act of vape inhaling from the mouthpiece. Drip (Dripping) – The term describes a refill process where e-liquids are being dropped straight on the coil. Drip Shield – An external cover that has a sole mission of protecting the user from e-juice leaks. 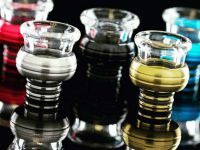 Drip Tip – A dedicated accessory that replaces the mouthpiece of atomizers with a huge hole to enable dripping without their removal. Drip Well – Located near the e-cig connector, this is a bowl that catches e-juice leaking. 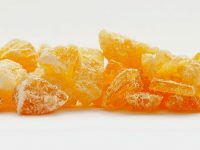 Dry Burn – Describes a process where the atomizer is heated, but no juice is present. Usually used to clean the remainings. Dry Hit – Means to take a drag without any kind of e-juice. Dual Coil – Clearomizers, atomizers, and cartomizers that have two coils. These types of devices provide more vapor but generally have a reduced battery life due to the extra power. eGo – Considered to be popular e-cigs due to them being a tad larger than normal vape pen and therefore lasting longer. They come in two variants, one is with an eGo threading and the other is standard 510. Some models can have both threads (via adapter). eGo Threading – Proprietary eGo threading for battery and cartomizer. vegetable glycerine (VG), propylene glycol (PG), nicotine, and flavoring. Some e-liquids don’t contain any nicotine. Electronic Cigar – The type of e-cigarette that simulates the look and feel of the real Cuban cigar. Electronic cigars can be rechargeable or disposable. 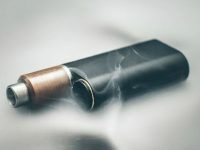 E-Cigarette – A device alternative to traditional cigarette that mimics tobacco smoking experience but does not contain tobacco and does not combust. Instead, the user inhales vapor, which satisfies the nicotine cravings. An e-cig in the most basic version includes a battery and atomizer, and the vapor is produced from e-juices that are poured inside the device. Electronic Cigarette Association (ECA) – This is the group of manufacturers and suppliers promoting e-cigarettes as a legal alternative for smokers in the United States of America. Electronic Cigarette Starter Kit – To put it simply, it’s a vaping device with all the accessories necessary for vaping that are sold along with an e-cig in the package. Typically, the kit includes an atomizer and a battery unit. E-Hookah – This is an electronic attachment to the actual hookah that enables the user to vape e-liquid. E-NIC (Electronic Nicotine Inhaler) – this is another term for an e-cig. E-Smoke – this is another name for vapor produced by e-cigarettes. Filler Material – The absorbent material inside the cartomizers and cartridges used to hold e-juice. The latter then moves to an atomizer that heats it up to produce vapor. Such a material is also called “Poly-Fil” or “filler”. Flooding – The occurrence when an atomizer gets overfilled causing a spill. The characteristics of flooding are gurgling noises within the device and reduced vapor production. FDA – Food and Drug Administration. This is the US government administrative branch responsible for the rules and regulations regarding the safety of all the food and drug products distributed across the country. Forums – These are the discussion boards on the Internet. Vapers visit forums in search for useful information or industry news. Formaldehyde – A carcinogen that emerges in smoke or vapor when vaping on extreme temperatures. Frequent inhalation of formaldehyde might cause harm to human health. Fused Clapton – A Clapton coil that incorporates two or more core wires. Genesis Atomizer – This is the type of tank or atomizer that has a steel mesh instead of cotton or silica. In the devices with such a build, the coil is situated at the top of the tank, and the juice is delivered by osmosis. Glassomizer – This is a clearomizer that has a glass reservoir instead of a plastic one. Goose Neck – It is a prolonged atomizer mouthpiece that resembles the neck of a goose. Custom items may vary in material, shape, and color. GRAS (Generally Recognized As Safe) – This term is used by FDA uses to mark the product as safe. Grub Screw – This is the type of clamps of the atomizer posts. It has a slightly pointed tip. Heatsink – These are the layers or fins sticking out from an e-cig, atomizer, drip tip, or heatsinks. Their main purpose is to dissipate heat faster. High Resistance – This is the feature in atomizers used for high voltage reading that is necessary for sub-ohm vaping. Hot Spot – These are the glowing spots on coils indicating uneven coil wrapping that might lead to dry hits. HV (High Voltage) – Indicates a vaping device that operates above the conventional 3.7 volts. As a rule, these atomizers and mods are not intended for use with standard low-power batteries due to potential battery failure. Hybrid – The connector with 510 threading and a hole in the middle located on top of the mechanical mod. The atomizer with such a cap directly fires the positive battery contact. Hybrid connectors are not supposed to be used with sub-ohm tanks that have a negative pin. ICR – This acronym stands for Lithium Ion Cobalt Rechargeable Battery. IMR – This acronym stands for Lithium Ion Manganese Rechargeable Battery. Inhale – The process of breathing vapor into the mouth or lungs. Inhales in vaping can be of the two kinds: mouth-to-lung (when vapor goes from mouth to lungs) and lung inhale (when vapor goes straight to lungs). The first one is the most common type as it imitates cigarette smoking experience. Juice – A short for e-liquid. Kanthal Wire – The name of the brand. It is usually attributed to iron-chromium-aluminum (FeCrAl) alloy wire that is used in devices with high-wattage. This alloy is not designed to be used as an outer coil wrap of the TC mode coils because it allows for very subtle temperature changes. B.) A chip inserted into mechanical PVs made by Evolv. It is used to convert them into the devices with variable voltage/wattage. Leaking – The occurrence when e-juice spills out of a tank/cartomizer/atomizer. 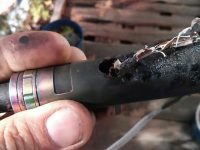 It’s important to prevent leaking because it can damage e-cig by getting into the battery. LED (light emitting diode) – The light placed on the ends of cig-a-likes that mimics the glow of a regular cigarette. It is also used as a warning light that indicates a low battery. Liquid – A short for e-liquid. Li-Po – Lithium Polymer rechargeable battery. Lithium-Ion Batteries (Li-Ion) – rechargeable batteries of a high-quality. They can have different capacity, size, and shape. LR (Low Resistance) – This is the cartomizer/clearomizer/atomizer with a low (1.5 or lower) ohm rating. The lower the resistance, the more vapor is produced. Also, lower resistance requires more battery power. mA – 1/1000th of an amp. It provides information about charger output. mAh – This abbreviation goes for milliampere-hour. The term refers to an energy-storing capacity of the battery. The lower the mAh, the shorter the battery life of the device. 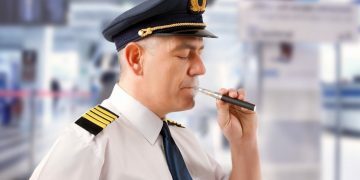 Manual – This is the style of e-cig use. It presumes that the vaper needs to press the button to produce vapor. Manual Shut-Off – This feature enables the user to turn off the device manually with a combination of the button clicks. It helps to prevent misfires and a quick battery discharge. Mechanical Mod – The model of an e-cig without wires or regulation chips. Such an item typically looks like a metal tube with a manual switch that should be pressed to complete the circuit. The mechanical mod is also called mech PVs, mech mods, or simply mechs. Microcomputer/Microprocessor – This is a small microchip that powers the atomizer by contacting the battery. This part allows for a customization. MG strength (mg/mL) – This indicator shows the amount of nicotine per one milliliter of e-liquid (in milligrams). Micro coil – This is a type of wire coil that is wrapped very tightly and with a short radius to ensure that all the loops of a coil are touched. It typically requires more wraps compared to a regular coil for ensuring similar resistance. Mg – This is a milligram strength per milliliter. This measurement unit is used to indicate the amount of nicotine in e-liquid. Mini – This term describes e-cig models that are smaller and stealthier than the typical ones. Mod – This is short for “modifications.” The e-cig mods typically utilize larger batteries to ensure a stronger vapor production and longer battery life. However, such devices sacrifice portability and size. Mods are designed as the items that should enable vapers to experience optimal device performance. You can encounter mods in variable and mechanical versions. Mouthpiece – This is the end of the device from which users inhale the vapor. It can be built-in or customizable. MV (Multi-Voltage) – This is the regulated vape mod that allows for multiple adjustable preset voltage settings. Nichrome Wire – A type of wire used in certain atomizer coils. Specific manufacturers include iron, however, the common ratio is approximately 20% chromium and 80% nickel. The nichrome combination is applicable in high-wattage gadgets, unique coil builds, and TC mode. Nic Juice – A normal e-juice that has nicotine as an additive. Nicotine – Commonly referred to as “nic”. It’s a substance that is usually found in cigarettes and in some e-liquids. Its primary use is to ensure a “nicotine high”. The substance is harmless and is often compared to caffeine as both of them are vasoconstrictors. Generally, the majority of nicotine filled e-juices have varying concentrates and range from 0% to about 5.2%. 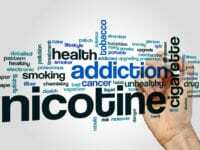 Nicotine Level – The level of nicotine concentration in e-juices. It is measured in mg/mL. Nicotine-Liquid – same as Nic Juice. NiMH – A special type of battery that contains no cadmium. Known to the science as the Nickel-Metal Hydride battery, this product is famous for having no memory effect and extreme reliability. They are capable of charging at any given time and are super safe. 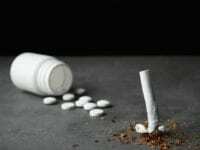 NRT – Short for Nicotine Replacement Therapy. Noob – A slang term that literally means a beginner. As controversial as this term might seem, it is not meant to be offensive. 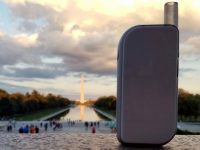 The vape scene is pretty friendly and most “noobs” stay noobs only for a week as it’s pretty easy to grasp things when it comes to vaping devices. Ohm – An electric resistance measurement unit. The lower the ohm reading for coils, the more vape you will produce. It is also worth knowing that the lower the ohm, the hotter the vapor will be and vice versa. Organic Cotton – A sort of wick that is on the rise right now. Used in rebuildable atomizers and tanks as organic cotton will burn significantly faster if compared to silica. It will maintain all flavors as well as intensity. Parallel – This is the case when mods that can utilize two batteries are wired as parallel. It leads to an increased battery life by doubling the mAh. At the same time, voltage and voltage drop don’t change. Pass-through – This is the e-cig feature that allows vaper to use the device while it’s being charged (connected to a cable). The term can also refer to the models that do not include batteries and can only be used when plugged into the source of power. PCC – This abbreviation stands for Portable (or personal) Charging Case. It functions as a storage and a charger for e-cigarettes (usually cig-a-likes) as it has an internal battery that charges from the external power sources. Pen Style – This is a pen-shaped e-cig. Such types of vaping devices are usually found in starter kits. Personal Vaporizer (PV) – Another name for e-cigarettes (mods and nontraditional cig-a-likes). 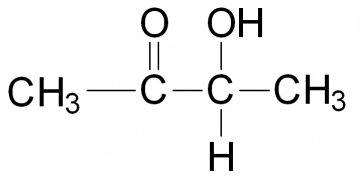 Propylene Glycol (PG) – A base substance used in e-liquids. This is also an over-the-counter substance that is used in various foodstuffs. Poly-Fil – This is the alternative name for a filler in cartomizers and cartridges. Primer – Or a “primer liquid” is a VG-based solution. It is applied to the wick and coil to prevent drying out during storage or shipping. Protected Batteries – Such batteries have a built-in chip for safety. The latter breaks the circuit once voltage gets too low or too high. Priming – This is the process of adding a few drops of e-liquid and leaving it in the new atomizer for a couple of minutes before using the device. It is meant to ensure that the e-juice saturates the wick fully. 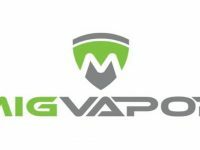 PV (Personal Vaporizer) – Another way of naming a vaping device. Puff – It is a short inhale of vapor into the user’s mouth. Rebuildables – This term might refer to atomizers or tanks as both of them are rebuildable. Often yes than not, it’s used by advanced users that know their way around hardware. The reason why advance users prefer rebuildables is that they can control resistance, swap wicks, and test out different setups to achieve maximum output. Resistance – As mentioned previously, resistance is measured in ohms and is dependent on thickness and number of wires and coils. It is also worth accounting for circumference and how thick the coils are wound. Resistance Wire – A special kind of metal that is utilized in coils (the heating elements). Once heated, the coil will evaporate e-juice. For those who want a specific taste, adjustments to the resistance are needed. Ribbon, Ribbon Kanthal, Ribbon Wire – A specific wire that is used in building coils that have a flat cross-section. Unlike traditional ones with a round section, these provide more surface area to transmits heat to the juice. Many users report that this type of wire is better as it provides more vapor and preserves flavor. RSST – Rebuildable Stainless Steel Tank. Sensor – Often used in e-cigarettes, this electronic component can detect when the user is taking a puff. Once the sensor is triggered, the device will automatically supply power to the atomizer, eliminating the need to press the button at the same time. Series – Used in mech mods that have a dual battery configuration. Such devices effectively double the voltage output, but they do drain a lot of battery. Silica – Perhaps the most used material for wicks. It has a high melting point and can be flamed to remove dried residue left by the e-liquid. Smart Chip – A special regulator that is inside the vaping battery that allows users to adjust several things. Smoke Juice – A synonym for e-juice. Smokeless Cigarette – Used to describe e-cigs due to their ability to not produce any kind of smoke. Stacking – This is a risky practice that involves stacking batteries end-to-end in different mech mods. The main outcome of this operation is to amplify the power supply. Standard Resistance – A typical range of ohm resistance (usually 1.8 to 3.0 ohms) in many vaping products. Starter Kit – A pack that is offered by most vaping companies, it includes everything a person might need to start vaping. 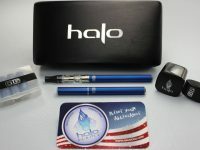 The standard package usually comes with an e-cigarette, atomizers, charger, and a pre-filled cartridge. Keep in mind that the kits come with other accessories. Steeping – Coined by DIY e-juice makers, this term describes the act of letting freshly mixed juice breath for more than six hours. Stick Style – A synonym to cig-a-likes. 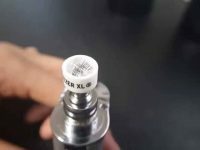 Sub-ohming – A technique that is employed by seasoned vapers to provide huge clouds thanks to modified coils with readings below 1.0 ohm. Sweet Spot – Also known as the perfect vape. Often said when the resistance is right, the e-juice is top quality, and the nicotine level satisfies all needs. Certain vapers also take into consideration wattage, PVs. Tailpiping – This term signifies inhaling without a drip tip and direct dripping. Tank – This is a clearomizer made of plastic or glass that has large capacity enclosures for holding large amounts of e-liquid. There are different types of tanks: pre-built coils, the tanks fitted with punched cartomizers, or rebuildable decks. Thermal Runaway – The case when the lithium-based battery gets overheated. This occurrence can be caused by such issues as short-circuiting, overcharging, physical damage of the battery, stacking batteries, faulty wiring, etc. Throat Hit – This is the name for a sensation that user experiences when vapor hits the throat. Whereas some users prefer more harsh throat hit that simulates the cigarette smoking, others like it smooth. Tobacco Harm Reduction (THR) – The process of supplying products with lower nicotine level as opposed to combusting cigarettes. Toot – This is a slang name for a draw from an e-cigarette. Topper – This is a top battery unit cap that has a connector for attaching the atomizer. Topping Off – The action of adding a few drops of e-liquid into a tank, cartridge, or cartomizer so that it’s filled up to the capacity. Triple Coil – This part can be found in cartomizers and rebuildables. It is used for producing large vapor clouds. Note: It utilizes a lot of power, which in turn reduces battery life. Tube Mod – This is the term that refers to the tube-shaped e-cigarettes or PVs that are similar in size to a small flashlight. Unprotected Battery – This is the battery without protection. If such a battery is made of safe chemistry materials, it will not demonstrate any negative reactions. At the same time, if the materials are not safe, the battery might leak if misused. USB Charger – This is the charged that draws power via the USB port. The term signifies either a cable that connects the device with a power source or a separate unit for recharging. USB Passthrough – This is the function in a vaporizer that allows the user to charge the device and vape at the same time. Vaper – a person who uses e-cigarettes. Vape Safe (Fuse) – It is a disk-shaped part of the size of a penny meant for use with mechanical mods. Its main purpose is to ensure extra safety or provide short-circuit protection. Vaper’s Tongue – A desensitized feeling in the tongue when a vaper uses too much of some flavor. This term is also used to describe a tickling sensation on one’s tongue that sometimes emerges after a long vaping session. 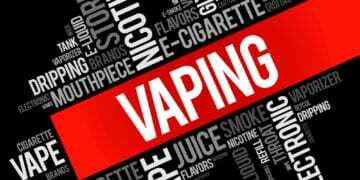 Vaping – The process of using an e-cigarette. Vent holes – Small holes located across the battery unit, the purpose of which is to prevent thermal runaway and overheating. Vented Battery Cap – see above: Vent Holes. Vapor – microscopic drops of e-liquid in the air (also called “clouds”) that are produced by vaping devices. Vapor is known as a safer alternative to cigarette smoke. Vaporizer – A vaping device for e-liquids, dry herbs, or oil concentrates. Another word for an e-cig. Vapor Production – The amount of vapor produced by an e-cigarette. Vegetable Glycerol or Glycerine (VG) – A base ingredient of e-liquid. Unlike Propylene Glycol (PG), it normally produces more vapor. It is also used as a replacement ingredient in lieu of the PG (90% 0r 100%), which is a perfect solution for people who are allergic to VG. Voltage – The unit for measuring the electrical potential of a power source. Voltage Drop – The drop in the device’s power usually experienced by the users of the mech. As the battery voltage drops from the initial 4.2v over time, so does the power and the production of vapor. VV or Variable Voltage – This refers to any type of e-cigarette or PV, which enables vapers to regulate voltage output based on their individual taste preferences. It is usually considered superior to the PVs with static voltage outputs. VW or Variable Wattage – The devices with Variable Wattage let vapers change the wattage output settings of their PV. The power of PV adjusts to the set wattage, which is the greatest difference between VV and VW. Watt (wattage) – This unit signifies the amount of power that atomizer coil consumes. The lower the wattage, the fewer vapor the device produces. Sometimes, higher wattages make vapor hotter and affect the flavor (it may become less distinct). Wick – This is the material that soaks e-liquid that later evaporates. It is wrapped around the heating coil. Its major purpose is to prevent flooding. Wick is mostly made of organic cotton, silica, or other materials. Wicking – see above: “Wick”. Wire – It’s the material used in the coil of an atomizer. Wrap – This is a revolution during the process of wrapping of a coil. The number of revolutions affects the resistance (the fewer the revolutions, the lower the resistance). That’s the end of our glossary. We hope that you’ve found definitions of all the vape terms that were unclear or confusing. Now, there’s virtually no such a word that could possibly leave you bewildered!